We hunt some of the most productive areas in eastern North Carolina. We hunt swamps and creeks early season for Woodies and mallards. We work with local farmers and have large parcels of farm land for snow and canada hunting. 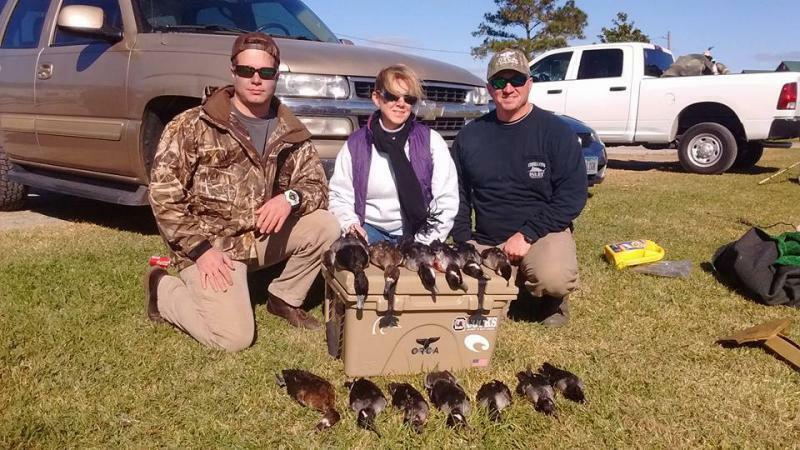 The Pamlico Sound has historically been one of the most famous areas to hunt open water ducks. 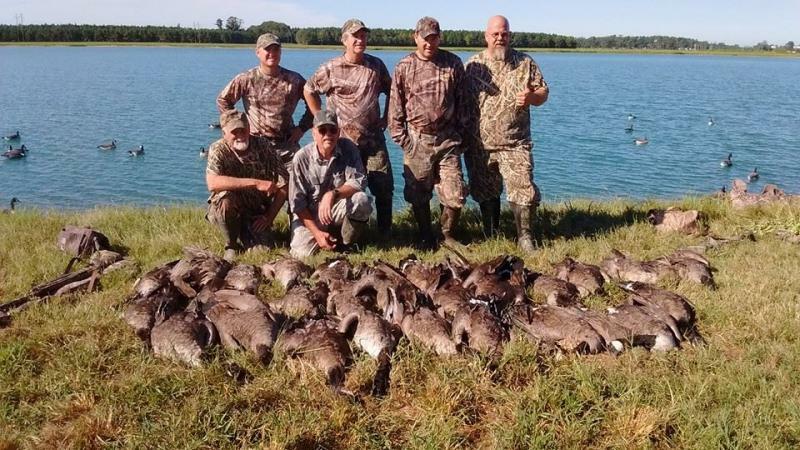 The Englehard and Gull Rock area of Hyde County provides a different hunt and offer chances of taking many species of waterfowl including Sea Ducks, Divers and Puddle ducks, along with swan and geese. It is located on the western side of the Pamlico Sound near Lake Mattamuskeet National Wildlife Refuge. This group of birds tend to fly back and fourth between the lake, sound and the many impoundments located in the area. It can provide good shooting most of the day even on a blue bird day. We often take five or six different species on any given day. Duck hunting is in the Engelhard area and Swan, Snow Goose and Resident Geese hunting is in the Elizabeth City area. We fish the sounds and the ocean around Oregon Inlet. 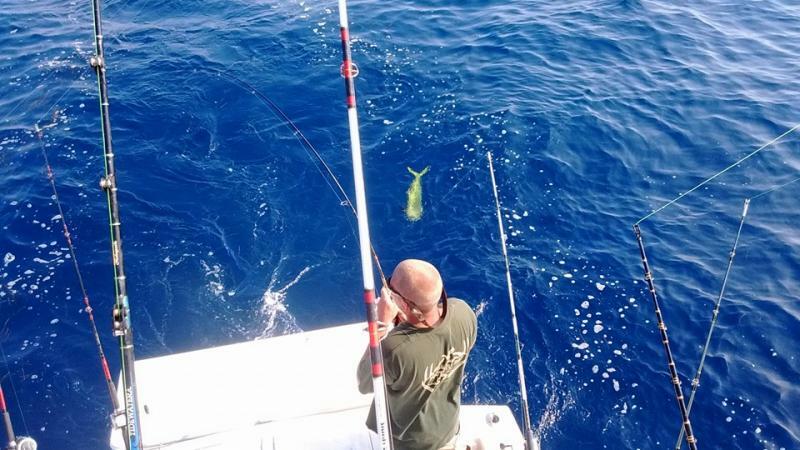 We offer inshore, near shore and off shore trips in pursuit of fish species such as red drum, stipped bass, cobia, flounder, tuna, wahoo and dolphin, etc. Our 25 ft. Carolina DLV is docked at Wanchese Marina. We are kid friendly. We love to see kids catch their first and biggest fish. No fishing license required. WE RUN TWO FLOAT BLINDS PER DAY WITH 5 HUNTERS PER BLIND AND ALSO HAVE STATIONARY BLINDS FOR THOSE WHO GET SEA SICK. Ask us about extending your hunt to a full day with an additional fee of $250.00. Inclues hot lunch in the blind for full day. Goose Hunt in the morning, grab breakfast and dove hunt the rest of the day. 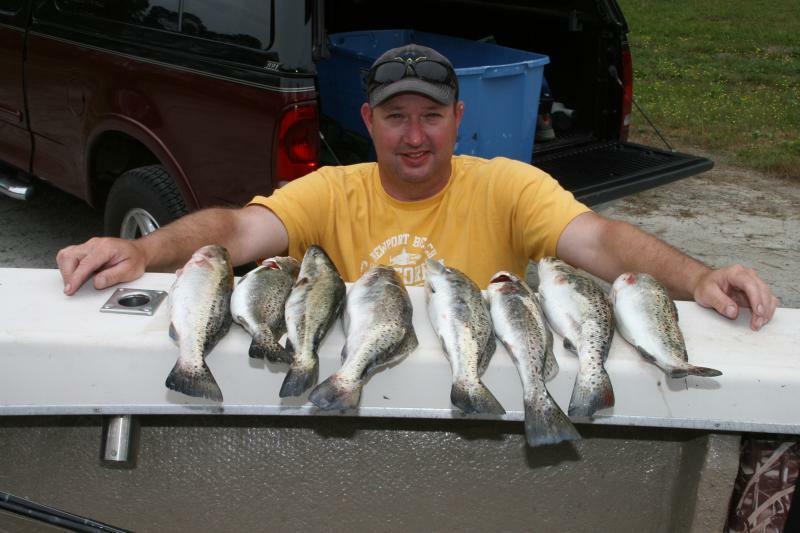 Duck hunting in the morning then grab some lunch and fishing for trout and flounder in the afternoon. Guaranteed Hunt - if you don't kill your swan you don't pay anything! We leave the dock before sunrise and hunt until about 12:00 or until you limit out. (No refund if you limit out on birds before the end of hunt) This price is per blind. Limit 5 per blind. There is no limit to the number of people for snow goose hunts as this is done in the open field. There is no difference in prices if we hunt marsh blind or Float Blind. Ask us what we recommend. We hunt according to what the birds are doing and Hunt where you have the best chance of having a successful hunt. 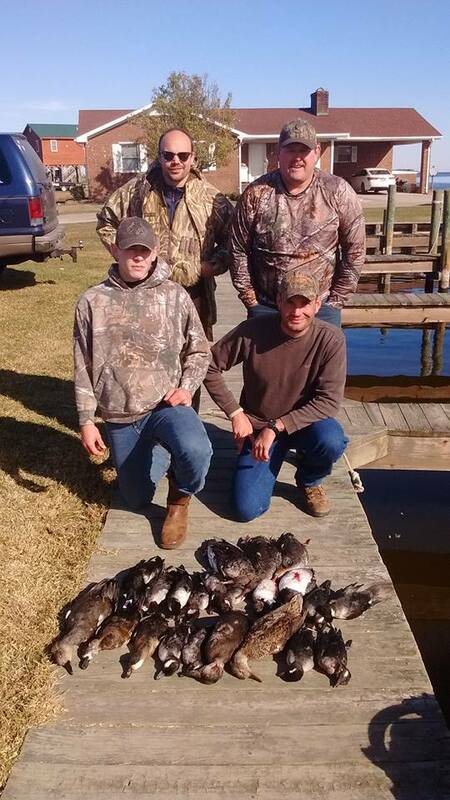 Duck hunting is done in Engelhard and Snow Goose hunting is done in the Elizabeth City area. we go to corn fields to dove hunt the rest of the day. We often take good numbers of geese and limits of dove. The limits are 15 geese per person & 15 dove per person. We hunt the Elizabeth City area for Resident Goose and Dove hunting combos. The first Wednesday-Saturday of Oct is our early duck season. We normally take teal, pintail, shovelers, mallards and wood ducks. It's a morning hunt and then we switch off after lunch and go flouder, trout and white perch fishing. This is done on the Pamlico Sound near Engelhard. We hunt from float blinds and stationary blinds in the western Pamico Sound near Englehard. We set out a large stand of decoys and can provide awesome shooting at Canvasbacks, Redheads, Bluebills, Pintail, Gadwall, Wigeon, Ring necks, Teal, Black Ducks and several types of Sea Ducks. This hunting is done in the Englehard area. 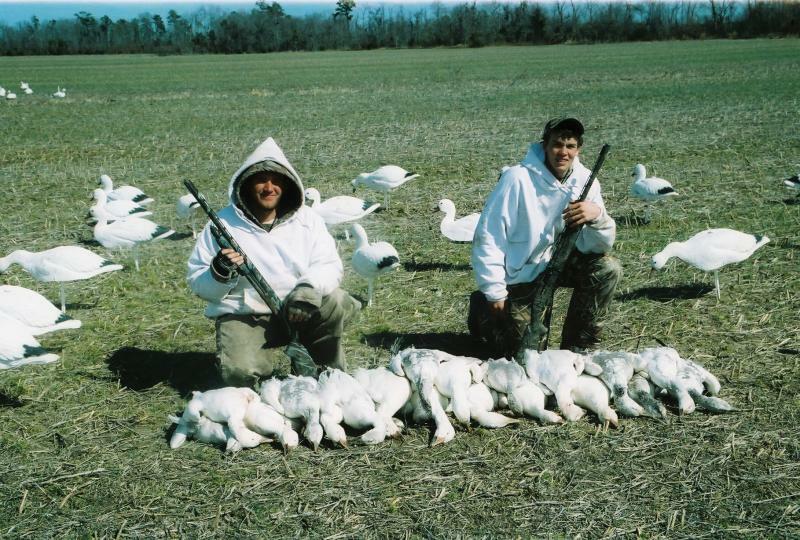 We hunt snows on the huge plots of farm land located in northeastern North Carolina The season runs from November threw the middle of March, howver we recommend February or March. This period is when we get large numbers of geese in this area. there is no daily bag limit and you can take the plugs out of your guns. 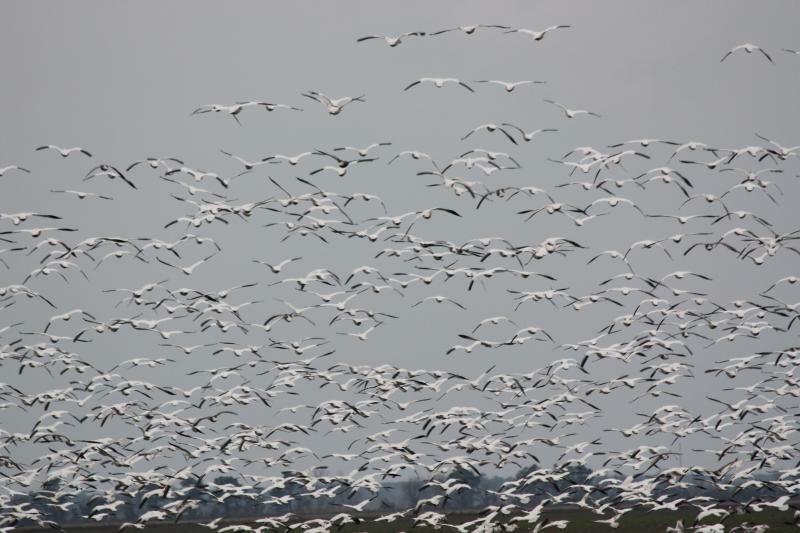 We have a very large Snow Goose spread and electronic calls which has proved to be very effective. 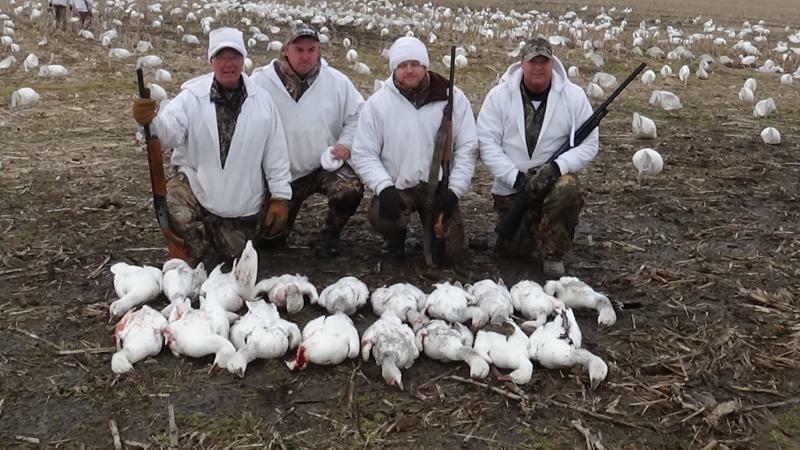 Price for snow goose hunts are $150 per person. 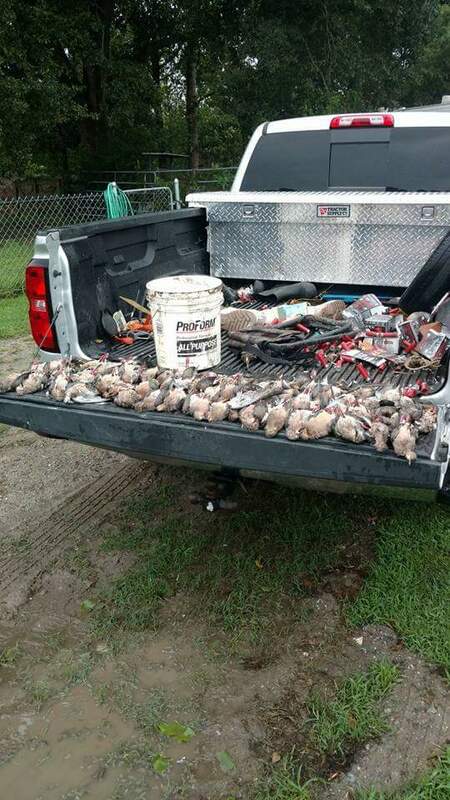 This hunting is done in the Elizabeth City area. Wildlife. We have our swan hunts Dec and Jan. mostly in wheat fields. 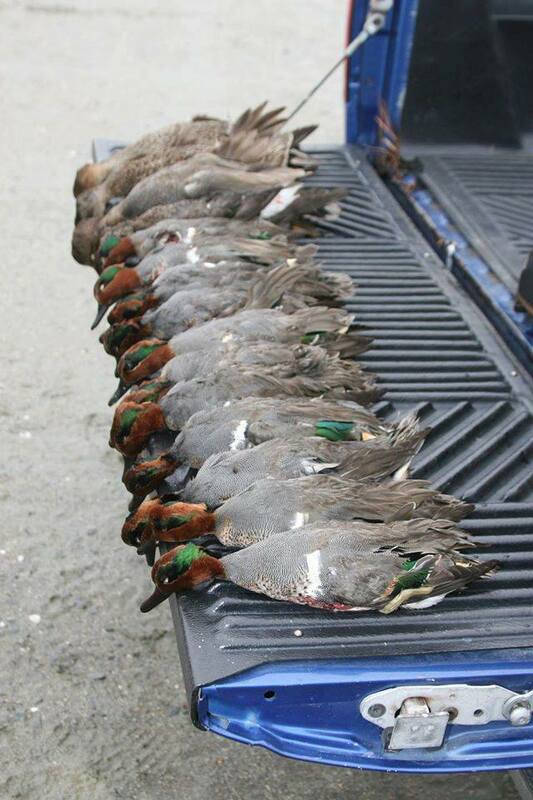 This hunting is done in the Elizabeth City area. Prices do not include lodging or license see helpful hints page for additional information. We fish for Trout, Flounder, Redfish, Striped Bass, Spanish Mackerel and other species in the Pamlico Sound. Choose morning or afternoon trip (7 am to 11am) or (12 pm to 4 pm). 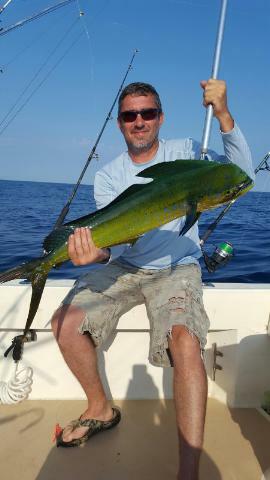 We fish for Spanish Mackerel, Blue Fish, Cobia, King Mackerel, Albacore and many other species. We are fishing in the ocean within 5 miles of the shore near Oregon Inlet. Prices do not include lodging see helpful hints page for additional information. Please make sure to book your lodging in the appropriate area. 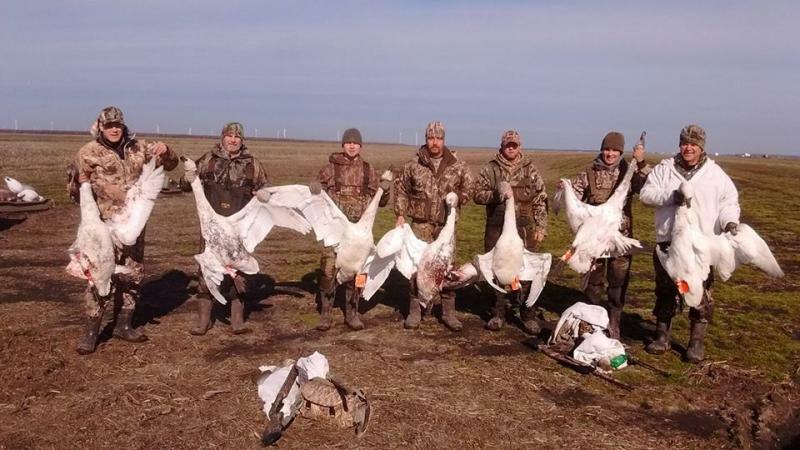 Duck hunting is done in Engelhard and Swan, Resident Geese and Snow Goose huting is done in the Elizabeth City area. 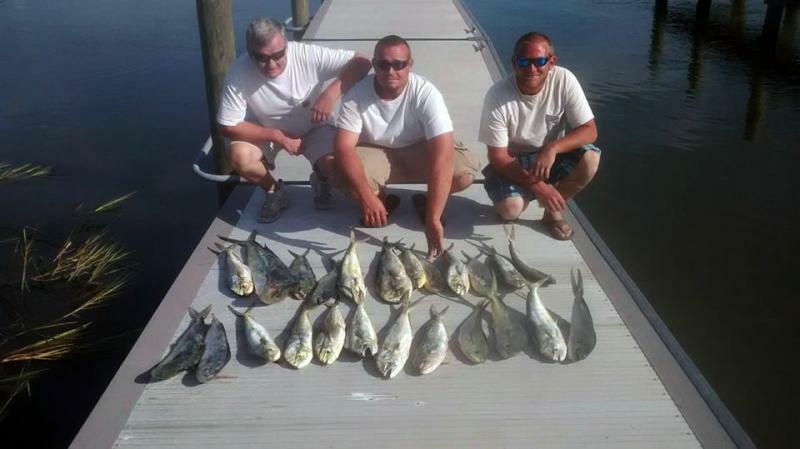 Fishing is done in the Oregon Inlet area.